A senior Russian diplomat said that Russia will provide an adequate response to the planned deployment of upgraded US B61-12 nuclear bombs in Europe. MOSCOW (Sputnik) — Russia will provide an adequate response to the planned deployment of upgraded US B61-12 nuclear bombs in Europe, a senior Russian diplomat said in an interview with the Russian Kommersant newspaper. "In the military sphere, as a general rule, any action forces a counter-action. I am certain that the Russian reaction to the deployment of new US bombs will be adequate, and its parameters will be determined by a thorough analysis of all circumstances," Mikhail Ulyanov, director of the Russian Foreign Ministry's Department for Non-Proliferation and Arms Control, said in an interview to be published on Friday. 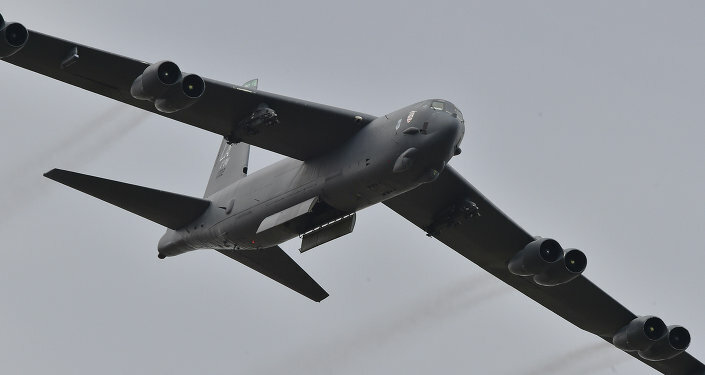 By the mid-2020s, the B61-12 version is expected to replace the current 180 B61s stockpiled in Europe, which would be flown out of bases in Germany, Belgium, Italy, Turkey and the Netherlands. According to Ulyanov, the modernization of the nuclear bomb arsenal suggests that the North Atlantic Treaty Organization (NATO) is headed for long-term violations of the Treaty on the Non-Proliferation of Nuclear Weapons (NPT). "Concerns in this regard, expressed not only by us, but also by the Non-Aligned Movement [NAM] member states, are basically ignored by NATO members. It is unlikely that they are thus contributing to the strengthening of the non-proliferation regime," Ulyanov stressed. Since 2014, NATO has been building up its military presence in Europe, particularly in eastern European countries bordering Russia, using Moscow's alleged interference in Ukraine’s internal conflict as a pretext for the move. Russia has repeatedly expressed concerns over NATO's military buildup along its western borders, warning that the alliance's expansion undermines regional and global security. NPT came into force in 1970. The treaty recognizes five countries as nuclear-weapon states: the United States, Russia, the United Kingdom, France, and China. Its objective is to prevent the spread of nuclear weapons and to promote the peaceful use of nuclear energy.